Among the first of its kind in Canada, the signs leverage a LoRaWAN™ network to accurately provide up-to-date bus schedules in Montreal. Semtech Corporation, announced that X-TELIA, a Montreal-based LoRaWAN™ network operator that enables the Internet of Things (IoT) and a LoRa Alliance™ member, developed a smart city solution utilizing Semtech’s LoRa® devices and technology in digital schedules for bus shelters in the Montreal area. X-TELIA installed LoRa-based displays showing the next departing bus time in bus shelters throughout Montreal. The solar powered displays operate on X-TELIA’s public LoRaWAN network. In the future, X-TELIA expects to update the displays to show bus delays in real-time, leveraging Semtech’s LoRa Technology for tracking and up-to-the-minute schedule changes. The program is among the first in Canada to utilize LoRa Technology for smart transit including tracking and scheduling. 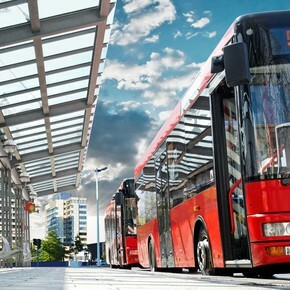 “LoRa Technology for smart transit can save commuters time and help the city run more efficiently,” said Vivek Mohan, Director of IoT in Semtech’s Wireless and Sensing Products Group. The post Semtech and X-TELIA Implement LoRa Solution for Smart Bus Schedule Signs appeared first on IoT Business News.